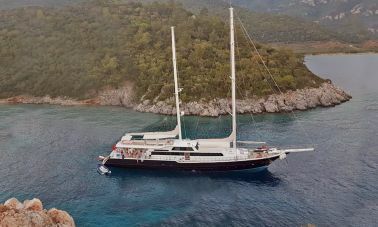 Yacht Charter in Turkey along Mediterranean Turquoise Coast, namely Bodrum, Marmaris, Fethiye, Gocek, furthermore the neighbouring Greek islands are within our reach. 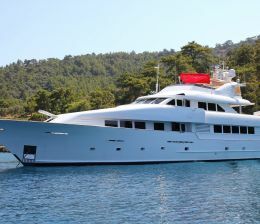 Our business background comes from years of experience, from working at sea, operating, building, consulting, chartering yachts and nowadays we are all over Turkey. Our motto is to stand out with experience and honesty in doing business with dedicated staff who are committed to make sure that you have a great journey and a high quality yacht charter holiday or a blue cruise. 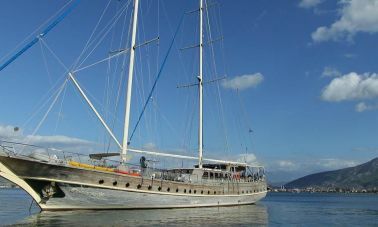 We invite you and your loved ones to join us on a Luxury yacht charter in Turkey, a blue odyssey with a motor yacht, a motor sailing gulet of your choice or a crewed sailing yacht, our Portfolio of megayachts, luxury motor sailing gulets, motor yachts, sailing yachts are well illustrated with photos and details to help you make the right desicion for your long dreamed yacht charter holiday with your loved ones in Turkey and the greek islands to enjoy deep blue Mediterranean and the Aegean sea. 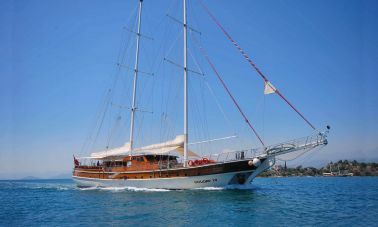 Luxury yacht charter in Turkey with Traditional Turkish Gulets is a time trip which dates upto Ottoman era when the Gulets were designed to carry cargoes into shallow waters and the main purpose were transportation of passangers and the goods between Mediterranean and Aegean ports. 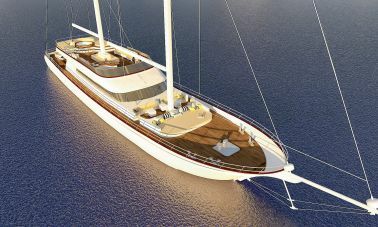 During the last 35 years Turkish Gulets are being built for yacht charter Blue cruises and exclusive yachting tourism, They are considered as world class yachts and are updated with ultimate yacht building technology and highest quality materials, improved their quality with higher standards and amenities in order to set an international aestethical trade mark, which is called and as Turkish gulet and pronounced as gullet. 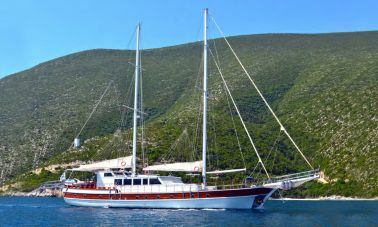 Many of our guests charter a crewed gulet for the highlight of their yacht charter summer holidays in Southwestern Turkish coastal waters. 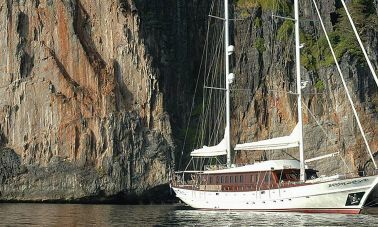 Akasia Yachting proudly illustrates a large portfolio of motor sailing gulets in akasiayachting.com website for our guests whom we consider each and every one as VIP. Just one call or an email is sufficient for you to organize an unforgettable getaway on board a luxurious yacht charter, where you and your loved ones will be treated like royalty with a sincere smile and utmost attention. 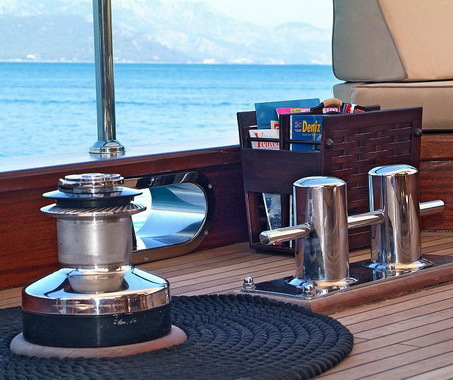 Motor yacht charter is not only for rich and famous as it used to be and most of these leisure crafts are chartered by their owners when not in use, that helps them to reduce the costly maintanence and wintering burdens when chartered even several weeks a year. 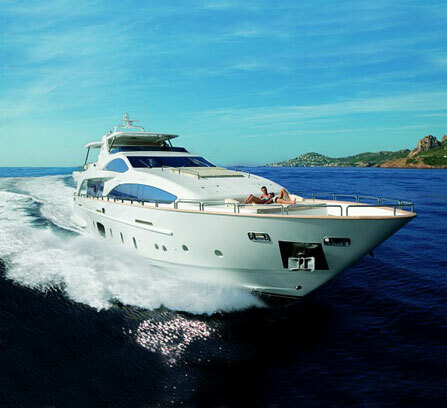 Motor yachts are pleasure boats with speed and elegance at sea. The new generation motor yachts are built with state of the art technology and due to their fast passage making engines and zero stabilizers they can be very comfortable and preferable when compared to other boats as well as the elegance of modern designs using highest quality material such as Marine grade Aluminium, High tensile steel and epoxy laminated wood as well as interiors and furnitures are crafted with highest quality mahogany or imported hardwoods. 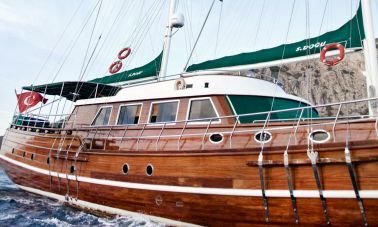 Akasia Yacht charter agency is Located in Fethiye and Gocek, offering best options with motoryachts and luxury gulets to help you choose amongst numerous motoryachts, superyachts of different brand names, size, design and prices. 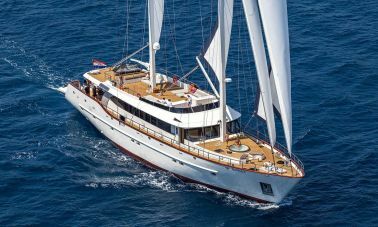 yacht charter in Turkey with custom built super yachts for performance sailing or regattas and special events could be the answer to your prayers. 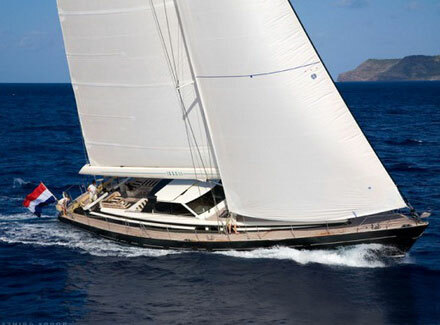 Sailing yachts are being promoted for chartering, crewed sailing yachts are listed in our sailing yacht charter portfolio. 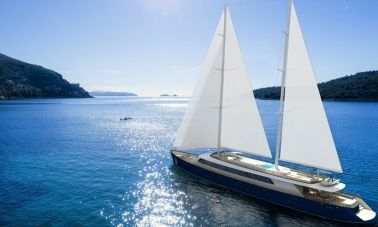 these crewed Sailing yachts are especially prepared for maximum comfort and speed as they are capable of sailing up to 17 knots. 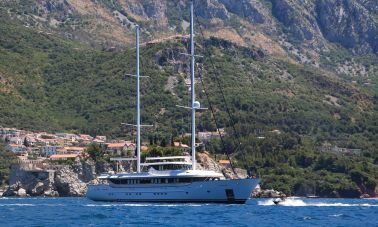 There are large cabins and saloons like motoryachts and a galley where the chef is producing great food for you. you might be an experienced sailor and if so you can go ahead and take the helm or give us a hand with winches or spinnaker just for adrenaline rush where you will be trated like the captain and not like the crew. We are ready willing and able to serve you with crewed sailing yacht charter or to promote and Charter your own sailing yacht, as always protecting your interests. 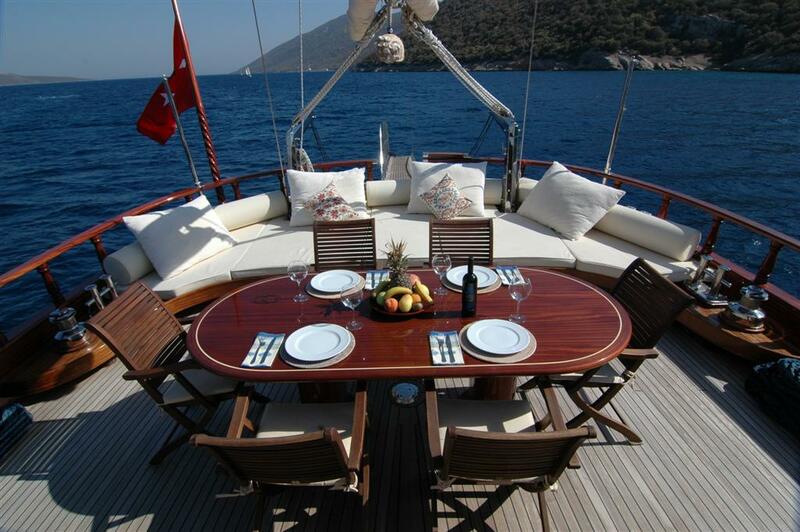 We are one of the few Mega yacht charter agencies in Turkey and we work with myba contracts. 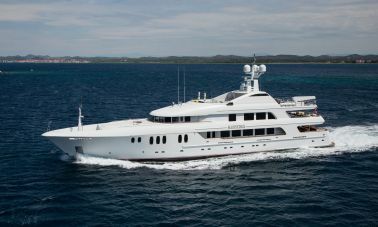 Mega yachts actually have very limited number of customers which are the fortunate few. 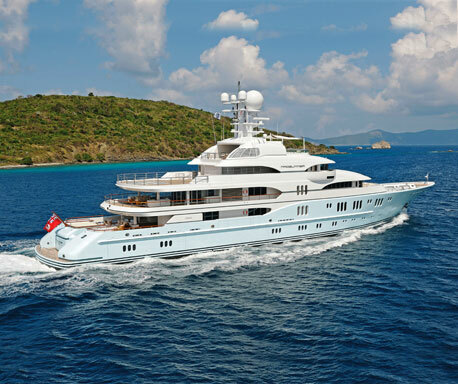 We hereby listed our portfolio of Megayachts to serve you mega yacht charter options through our web site. 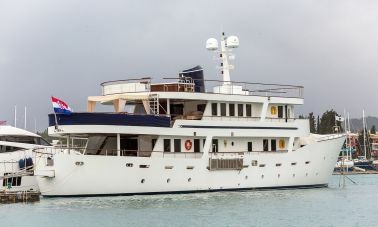 Generally speaking Demand for Mega yachts are limited to few contracts annually, however sometimes in the high season it is pretty difficult to find and Charter them since there are only limited number of mega yachts, and sometimes we have to bring megayachts from neighbouring countries such as Greece, Italy and France. 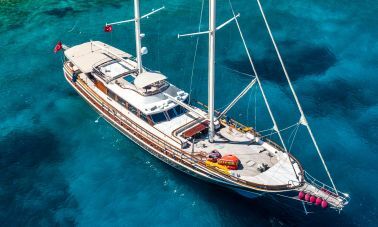 the Megayacht market is booming in Turkey and there are more boatyards to respond the growing demand from domestic and international inquiries. We can arrange any yacht through our international brokerage network offering megayachts for every individual demand to satisfy even the most exigent customers. 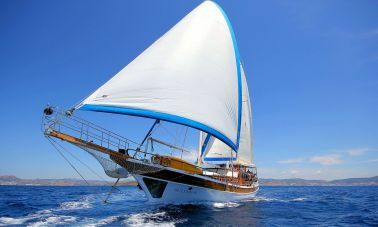 We all know that Turkish mediterranean, southwestern coastal waters are the cleanest and unspoiled places in Eastern Mediterranean yacht charter vacations as well as most protected areas from the northerly and westerly winds of the Aegean sea. 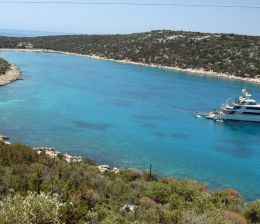 with our backround as seaman, we consider less the greek islands in the aegean where there are nowhere to hide and/or anchor to shelter from ever strong Aegean winds, the mainland Anatolia is a natural barrier to strong northerly winds which blows up to 35 kts all over Aegean and causes severe weather conditions compared to Bodrum, marmaris gocek and fethiye where even small ants can drink water. The lush green pine forests all over turkish coastline, Turkish hospitality as well as cheap and good quality food makes Turkey a heaven for sun prayers. There are no harmful creatures nor toxic waste in our waters where you can swim round the clock. 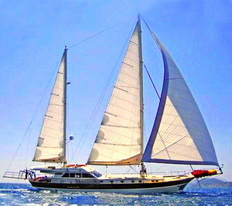 There are soft breezes of 10 knots for perfect sailing and excellent bays and coves for chartered motoryachts and gulets which can be anchored in one yacht only bays for utmost privacy, meanwhile in a short distance you may enjoy the local fish restaurants and discoteques in bodrum, marmaris, gocek, fethiye for a night out to enjoy utmost entertainment. The people who comes from very difficult jobs such as natural sponge divers or fisherman or even able seaman from cargo ships and people who worked hard to build a boat or a yacht to improve their lifestyles, These seaman has changed their hard work yacht charter tourism to share the natural beauty of these coastal waters with foreign guests from all over the world without prejudice and discrimination at all. Year after year these seaman has evolved and built bigger and better yachts proudly showing their hand crafted yachts and these beautiful places where they used to fish and make a living, and nowadays to share their experiences and the natural assets with these yachts are being built bigger and better with different imaginations and for customer demands since the everyday clients are nowadays more exigent and they ask their fantasies to become reality, such as a jacuzzi on board of a yacht charter gulet…! These experienced seaman or nowadays captains of luxury motor sailing gulets try their best to prepare the yacht charter during winter to launch proudly and prepare to charter these yachts and seek appreciation of their guests. sometimes it is hard to understand and accept that guests are not interested in the nature, blue and green beauty of these beautiful pine covered hills down to water line with a soft evening breeze with a fish barbecue acompanied with friendly laughters and music… Some of the new generation yacht charter guests are interested in powerful motoryachts or even megayachts without any limits of luxury and comfort for those who imagine yacht charter as an ultimate escape ground. 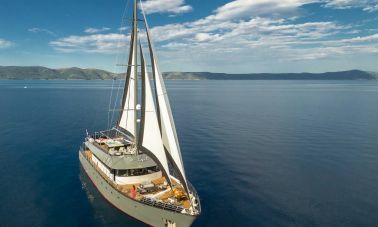 You might really want to know and check out details of a yacht charter that you would like to charter and your agent is to provide you with photos and details which you need to know, once aboard all you need to do is relax and enjoy the service. These seaman understand very well that you are the one who pay for all and they will do everything possible to make sure you keep on smiling and be happy with the food , with the service and without a doubt the places that you are swimming , All what they expect from you is a soft smile and maybe a generous thankyou in your own language or even better in Turkish which is Teshekkurler …! to make them feel comfortable and acomplished Otherwise the silent conflict between the crew and the ever dissatisfied guests makes the crew feel odd and unacomplished with their efforts to share an unforgettable period without a reason. We donot want to say that Yacht Crew are always perfect, please let us know your unpleasant experiences with whom you have contracted the yacht charter from the very beginning.